What do you think the chances for survival would be for an unarmed, 16 year-old who was attacked by three African lions? Stay with us. We're going to learn more as Amazing Facts brings you this edition of Bible Answers Live. Hello friends! This is Doug Batchelor. What do you think the chances for survival would be for an unarmed, 16 year-old who was attacked by three African lions? Stay with us. We're going to learn more as Amazing Facts brings you this edition of Bible Answers Live. Pastor Batchelor: Welcome listening friends to Bible Answers Live. If you have a Bible-related question, we invite you to give us a call. It is a free phone call, and that number is 1-800-463-7297. That's 1-800-GOD SAYS. If you have a Bible question, we have lines open right now. It's a good time to call in to get on tonight's program. and that number again is, 1-800-463-7297. My name is Doug Batchelor. Pastor Jëan Ross: My name is Jëan Ross. Good evening listening friends and Pastor Doug. Let's begin the program with prayer. Father, we do thank You that we have this opportunity to study Your Word together. We recognize the Bible is Your book. We want to understand it correctly so we need the Holy Spirit to guide us. Be with those who are listening wherever they might be, and we pray for wisdom here in the studio. In Jesus' name, amen. Pastor Jëan Ross: Pastor Doug, you opened the program by talking about, well, a remarkable survival experience of someone that was attacked by not one, but three African lions. Pastor Batchelor: Yes it actually happened back in March of 2005. A young man named Dane Keiser was visiting a lion park in Pretoria, South Africa with his mother, and he was standing a little too close to the fence. Suddenly, one of the lionesses grabbed his foot under the fence and drug him in. And then two other lions joined her; and basically they were going to maul and eat him. At first he struggled and he screamed, and then he realized he couldn't out-wrestle 1,300 pounds of hungry lions. So he pretended he was dead and prayed. About that time, a curator there told him to be perfectly still; he tossed a lion inside and his mother, Louise, began to scream fiercely. And the large male lion that had him pinned down became distracted. The two female lions began to fight with each other over the prey, and he saw his chance. Dane jumped up, grabbed the stick, hobbled over to the fence, and when the lions lunged for him, he whacked them a few times and they kept their distance. And he inched his way along the fence slowly and they helped him out of the gate. There's not too often someone survives an attack of three lions. Of course, we've got a Bible character that survived a whole night in a den of hungry lions--and they were hungry--because after Daniel came out, their main course went in, and they proved that they were pretty ravenous. But beyond that in the Bible, the devil is often typified as a lion; and you can read that in 1st Peter chapter 5, verses 8 and 9. There the Apostle says, "Be sober, be vigilant, because your adversary the devil walks around like a roaring lion seeking whom he might devour. Resist him steadfast in the faith." We sometimes forget that there is an enemy on the prowl and we are surrounded by lions, so to speak, every day. The only way for us to be safe is to have the sword of God's word. This is how Jesus fought the devil. Some people doubt that there's a devil. I think really to understand just the whole purpose of life and why there seems to be evil in the world--if God is good, if God is loving, if God is all-powerful, then why does He allow so much innocent suffering. People need to understand there's an enemy out there. There's a lion that is prowling, and he is heartless, better known as Satan or the devil. There might be some people out there who aren't aware and would like to know, if God is love, why would He make a devil? Where did the devil come from? We have a free offer tonight that not only tells about the enemy, but how to survive a lion attack. Pastor Jëan Ross: Absolutely. The study guide that we have is entitled, "Did God Create the Devil?" "Did God Create the Devil?" If you'd like to receive this study for free, call our resource line. The number is 1-800-835-6747. That number again is 1-800-835-6747, and you can ask for the study guide, "Did God Create the Devil?" You know Pastor Doug, it's interesting in Scripture, not only is the devil like and unto a lion, but even Jesus is like and unto a lion. There are characteristics that we see in the lion that resemble that of the devil, but there are also noble characteristics of the lion that resemble that of Christ. Jesus is described as being the "Lion of the Tribe of Judah." Pastor Batchelor: Lions are typified also by their majesty and power. Pastor Jëan Ross: The devil is always trying to take the place of Christ, trying to deceive people, trying to devour them. Again, that study guide is entitled, "Did God Create the Devil?" The number is 1-800-835-6747. If you have a Bible question, the number to the studio is 1-800-463-7297. We're going to go to the phone lines now. We have Phil who is listening from Michigan. Phil, welcome to the program. Phil: Hi, thanks for having me. My question is, can you give me just a general overview and time line of how you see end-time events unfolding? Pastor Batchelor: Well yes, I think that there's going to be a big compromise. According to the Bible, everybody soon is going to have or, prior to Christ's coming, either the mark of the beast or the seal of God, and you find that in Revelation chapters 13 and 14. Prior to that, there's going to be some kind of international natural disaster, financial disaster, political upheaval, or all of the above, that is going to have people sort of consolidate the governments of the world; and there'll be an effort to put them under one government. It'll be connected with religious laws, and people will be told how and what to worship--well something that they're going to enforce is going to be against Bible Christianity--and people are going to have to make a decision: Do they go with the popular, international religious laws, or do they follow the Word of God? Same kind of battle that Daniel faced when he had to either pray to the king, or go to the lion's den. Or Shadrach, Meshach and Abednego, when they had to choose, "Do I either bow down and worship the image of the king of Babylon, Nebuchadnezzar, or do I obey the commandments of God?" Pastor Jëan Ross: It has at least part of it on the prophecy seminar; but like you said Pastor that if someone were to just go to YouTube and type in there "Final Events Amazing Facts." I believe the whole program has been cut up in sections. You can watch the entire program. Pastor Batchelor: Yeah seven, I think it's in seven sections and it outlines a chronology of prophecy very clearly. Pastor Jëan Ross: Phil, we also have a study guide dealing with the second coming of Christ and it's entitled, "The Ultimate Deliverance", talking about when Jesus comes, some events associated with the coming of Christ and just prior to the coming of Christ. If you would call our resource line, we can send that out to you. It's 1-800-835-6747. 1-800-835-6747, ask for the study guide, "The Ultimate Deliverance." We have Nadia who is listening from Los Angeles. Nadia, welcome to the program. Nadia: Hi. According to Hebrews 2:14 through 16, Jesus gives aid only to mankind, and my question is was there any type of sacrifice or aid for Satan and the fallen angels as well? Pastor Batchelor: You're wondering if there was any kind of salvation offered before they committed the unpardonable sin for Satan and his angels? Pastor Batchelor: Well, God is merciful; I think He bore long. There's no record that I know of where Christ had offered to die to redeem Satan and the fallen angels, but there was some kind of probation and mercy that was extended when he first was entering into his rebellion. Just because God is long-suffering and merciful--it's just His nature, but I can't think of a verse that says that there was a sacrifice made. And you know part of the reason is, Satan and the angels were made perfect and they were not deceived. Satan entered kind of a high-handed rebellion into deception. He was made perfect. He chose to be proud, to worship himself; whereas Adam and Eve were made in innocence and they were sort of caught off-guard by this rebellious fiend. So the devil is more culpable than humanity was, and that's why the Lord had mercy on humans and became one of us to save us. Pastor Jëan Ross: You know it's noted from the biblical account that before Satan sinned, his name was Lucifer, and he stood in the very presence of God. He was closest to the throne of God. There wasn't anything more that God could really do to reveal his character that Lucifer didn't know about, whereas Adam and Eve, they were not in that same position. So I think God gave Lucifer, as well as the angels that initially believed his lies, plenty of opportunity for them to realize the error of their way. After all, God is a God of justice, and He's not willing that any of these creatures should perish. Nadia: Okay, that makes sense. Thank you very much. Pastor Batchelor: Thank you, appreciate your question Nadia. Pastor Jëan Ross: If you have a Bible question, the number to call is 1-800-463-7297, 1-800-463-7297. Travis, listening in Dearborn, Michigan. Travis, you're on the air. Travis: Yes sir I just had a quick question. I know that there's a lot of different viewpoints on the sovereignty of God, and so my question had to do with when the Bible says things like, "No man comes unto the Father unless the Spirit draws him." And in Romans, a lot of Romans and Paul talks about that word predestination. It's a hot-button word that a lot of people are debating over. But I just wanted to get your thoughts on the idea if there is a predestined-elect, as they say. And there's this big movement going on where a lot of people are starting to adopt this view that um--and I know it's not a new view--but there's a newer movement behind it that I won't mention any names--but I'm just curious on that because, I have always tended to believe that when God gives us complete free will and choice, but then when I started really becoming aware of that word throughout Scripture in Ephesians and in Romans, I'm seeing that word being attached to, that there is, before time began, a group that God already pre-ordained to be saved. Pastor Batchelor: Well this is, of course, one of the great debates among good Christians on both sides. I've been reading through the Reformation history recently and two dear friends, George Whitfield and John Wesley and Charles Wesley, they were split over this issue of Calvinism and predestination, and it really involves does man have a choice? You can hear in the Bible where He says that, "Whosoever will, let him come." The reason I think that people get confused, Travis, is because God knows who's going to be saved now, but because God knows who's going to be saved doesn't mean that He has taken away their freedom to choose. He just knows what they're going to choose. That hasn't done anything to diminish our freedom to choose. It doesn't diminish at all His desire that all are saved. And some have taken the verses in the Bible that God knows, and they've kind of made it sound like that God has pre-appointed some to be saved. The danger with that, if God is up in the heavens looking down at humans on earth and going,"Eenie, meenie, miney moe, I think I'll save you; eenie, meenie, miney, moe, I won't save you"--if there's anyone that God is deliberately choosing not to save with no part on theirs, it almost makes it sound like He can save some from sin but He's choosing not to save others from sin--it almost makes Him sound like He wants to be an accessory, in some how. But God doesn't want anyone to sin, and God, the Bible says, wants ALL to be saved. So, I hope that helps a little bit. We do have a book, "Can A Saved Man Choose to be Lost?" Pastor Ross? Pastor Jëan Ross: That's right. That's a great book. Just before we give you the resource line, just one other thought on that. Romans chapter 8, verse 29 is often a verse that is quoted with reference to predestination. I'd like to read the verse. It says, "For whom he also foreknew, he also predestinated..." Sometimes people stop reading there, but let me read on, "...he also predestinated to be conformed to the image of his son." In other words, those who respond to the Gospel, God predestinates them, if they trust in Him, to be conformed into the image of Christ. That is the Father's will; and for those who believe in Christ, that will be the ultimate result. They will be transformed into the image of Christ. However, that predestination is a little different than God choosing someone to be saved, and arbitrarily choosing someone to be lost. You know, we've got the example of Judas Iscariot in the Bible, where Christ knew from the beginning that Judas would betray Him; and yet, Jesus gave Judas every opportunity--in some ways, Jesus probably reached out to Judas more than He did to the other disciples. Pastor Batchelor: Yeah He certainly didn't want him to be lost. Pastor Jëan Ross: That's right. He gave him every opportunity; and that's the same for all of us. God is not willing that any should perish, but all to come to repentance. That book is entitled, "Can A Saved Man Choose to be Lost?" and our resource line is 1-800-835-6747. That's 1-800-835-6747. You can ask for the book, "Can A Saved Man Choose to be Lost?" Our number here to the studio is 1-800-463-7297. 1-800-463-7297. If you have a Bible question, it's a good time to pick up your phone and give us a call. Our next caller is Ollie. He is listening from Tennessee. Ollie, welcome to the program. Ollie: Well thank you very much sir for taking my call. Very kind of you. Pastor Batchelor: Absolutely! And your question? Ollie: Pastor my question is, what is your commentary concerning some pro-Israel, Christian, evangelical groups speeding up the Jewish immigration to Israel, and then in turn, trying to speed up the return of Jesus? Pastor Batchelor: ...so that the Gospel would be preached in all the world for a witness, and then the end will come. There's really no mandate for us to try to expand the acreage or population of Israelis is going to hasten the Lord's return. I think they--and it also is based on some grossly misunderstood prophecies. Many evangelicals, not all, believe that those verses in, I think it's 2 Thessalonians Pastor Ross? "That wicked one will sit in the temple of God showing himself that he is God...." Is it 2 Thessalonians chapter 2? Pastor Batchelor: They think that temple that's referred to there, is the literal temple that must be rebuilt. Many protestants do not believe that. They believe that it's talking about the beast-power sitting over the church of God, which is the body of Christ, which is that temple. It's not talking about a literal temple. And because they misunderstand that, they think all of prophecy hinges on the Jewish nation becoming strong enough to get rid of the Dome of Rock from the Temple Mount, and rebuild a literal temple. Pastor Batchelor: The Jews don't sacrifice lambs anymore. 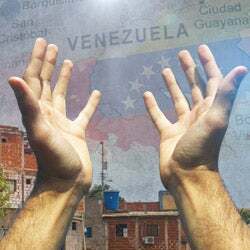 Pastor Batchelor: So it's like Christians, some evangelical Christians have got this, this alter-dimension they're living in, that is all based on what's happening in Israel and they're missing what happens with spiritual Israel all around us. Pastor Batchelor: Everyone who believes in Christ becomes a spiritual Jew. Ollie: That's true sir and you're definitely right. I think the Bible says, "He who is a Jew is an inward Jew, not the outward Jew." Pastor Batchelor: I wrote it, it's called--I'll send you a free copy--It's called, "Spiritual Israel." Or for any of our friends listening, if you'd like, you can read it for free on the Internet as well as you Ollie. 800-463-7297. That's 1-800-463-7297. Pastor Doug, just before we take our next caller, there is a website that we just want to make sure all of our friends are aware of, bibleuniverse.com. Pastor Batchelor: Yes. If people want to study the Bible, we have the Bible available in so many languages. People don't know. Go to Bible Universe, and you can not only study in two or three different lessons in English, there are studies there in Chinese, in German, in Macedonian, in Romanian, in Spanish, in Farsi, in French, in Tagalog, and in Swedish, and I may have left some out. 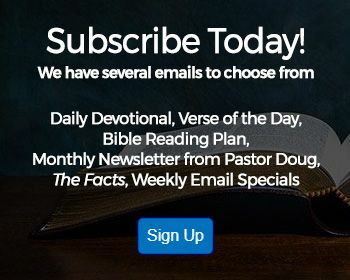 So, we hope you send this link out around the world so that your friends can get involved in some great Bible studies right there online. It's free, and it's bibleuniverse, bibleuniverse.com; a lot of other neat resources there as well. Pastor Jëan Ross: We've got John listening from Buffalo, New York. John, welcome to the program. Pastor Batchelor: Hi, thanks for calling. John: Yes, my question is uh, in Matthew, there is the lineage of Christ at the beginning; and uh, Luke also gives the lineage of Christ. And there seems, at a certain point, a diverge. John: Now, one of the reasons I heard was, one traces the lineage of Christ through Joseph, the other through Mary; but I don't see that there. I was wondering why there's a difference? Pastor Batchelor: Well, I would agree with that explanation. I think it's in the Gospel of Luke, it's tracing the genealogy from--it says Joseph was the son of Heli--and I think it's really talking about Joseph was the son-in-law. And Luke, being a Doctor, he thought it was more appropriate to trace the genealogy of Jesus through the mother because Christ, physically, was connected to Mary; whereas Matthew, being a Jew, they always did it patriarchially. And he thought it was more appropriate to trace it through Joseph. It happened that both Joseph and Mary were from, of course, the tribe of Judah and the tribe of David. And so their genealogies intersect more than once. But that's the best explanation I've heard. Pastor Jëan Ross: You know, I think it's important that we have Christ's lineage both of His mother's side and Joseph's side. That really helps to validate that He is the Messiah. He came according to the family of David. You can trace that back on who was Joseph's family as well as with Mary's family. 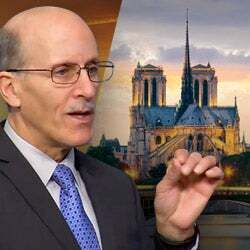 Pastor Batchelor: Yeah and I think that even Paul, in Paul's day, they were disputing the genealogies, and Christ talked about don't be disputing over endless genealogies. I think it was even a question in their day which one they were suppose to use, because the Messiah, coming from the tribe of David, was a very important prophecy in the future. And uh, Luke actually went to trace it all the way back to Adam; and you can't go back any amount--matter of fact--he traced it back to God, Adam, who was the son of God. So Luke traced the genealogy from God all the way to Jesus. John: Right, because I know Matthew, I think, starts with Abraham. John: Okay well, I'll have to look at it again. I still don't see it, but that helps now when I look at it (inaudible). Thank you very much. Pastor Batchelor: Well you pray--I appreciate it--and it wasn't uncommon in Bible times to refer to someone's father-in-law as a father. Sometimes they even referred to a great-grandfather, they would say, "father", meaning your ancestors. Pastor Jëan Ross: And you know verse 16 of Matthew chapter 1 says, "Jacob begat Joseph the husband of Mary." So that makes it pretty clear that the family lineage, at least in Matthew 1, is Joseph's family; and you'll find just the opposite in Luke where it goes through Mary. Pastor Batchelor: It just jumps. I appreciate your question John. Pastor Jëan Ross: Alright. Let's see, our next caller this evening, we'll see if we can get David online. He is calling from Indiana. And let's see if we can get him--David, are you there? David from Indiana. Not yet. Alright we'll come back to him in just a minute. You know Pastor Doug, we've spoken about that website, bibleuniverse.com. Something else that people need to recognize is not only can you take these Bible lessons online through the bibleuniverse.com website, but you can also take them via correspondence. Some people actually like to get the lessons in their hand, fill in the question and answer sheet and send it back, and we will grade that, and then send them the next lesson. If you'd like to take the Bible school correspondence course, just go to the Amazing Facts website and you can sign up right there. We can send it to you in the mail. Pastor Jëan Ross: Alright let's go to David now, David in Indiana. David, are you there? Pastor Jëan Ross: Welcome to the program. You're on the air. David: Yes. My question is, should we be honoring the Sabbath day of the Ten Commandments or not? Pastor Batchelor: Well you know in your question, I think the answer is there. Can you think of any of the other Ten Commandments that we should not be honoring? Pastor Batchelor: ...several verses say no. Is it okay to use God's name in vain? Can we dishonor our parents? Are we suppose to be coveting, or killing, or stealing, or committing adultery? Pastor Batchelor: And the obvious answer for all of the others is: Absolutely not. So when God says, "I've got an appointment. I've blessed the seventh day." He did not do it for Jews; He did it in the seventh day of creation. He blessed it for man. Jesus said, "The Sabbath was made for man." He didn't say the Sabbath was made for Israel or the Sabbath was made for Jews. Why Christians would think we don't need to observe the Commandment to rest and worship God in a special way with holy time on that day, um, I don't see any consistency there. I think we need to be consistent. Pastor Jëan Ross: You know there were two things Pastor Doug and David that we read about in Scripture that were instituted prior to the fall. The one being marriage, you can read about it in Genesis, the first few chapters; the other being the Sabbath. Genesis chapter 2 talks about the seventh day of the week where God set aside time for rest and we enter into His rest when we keep the Sabbath. So, even before there was Sunday, we had the Sabbath. We have a study guide that deals with the subject. It's entitled, "The Lost Day of History." And for anyone wanting to hear more or learn more about the Sabbath, give us a call on our resource line. That's 1-800-835-6747. You can ask for the study guide, "The Lost Day of History." 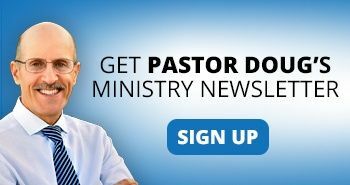 Pastor Doug, we also have a website dedicated to that subject. Pastor Batchelor: I think it is the most popular, next to Wikipedia. If a person types in the word "sabbath" or "sabbath day" in Google, on the first page there they'll find our website called, "sabbathtruth.com" or "sabbathtruth.org" - either one - and it's in Spanish, which is, I believe, sabadobiblico.com, sabadobiblico.com. Don't ask me how to spell that right now. Pastor Jëan Ross: What's nice about that website as well is, if you go to the sabbathtruth.com website, there is a series of videos, actually very well done, documentaries that trace the history of the seventh day of the week and it's significance to different groups of people throughout history, starting way back with, of course, the Jewish nation--and even before that. Pastor Batchelor: These are the ones narrated by Hal Holbrook. Pastor Jëan Ross: That's right, called "The Seventh Day." And you can watch the whole series at the website, sabbathtruth.com, just great information. Pastor Batchelor: Absolutely. So I encourage you to go there David and anyone else that has questions about that. More and more people are asking questions about that Commandment that seems to be either neglected, or some are subtracting from the Ten Commandments. You're listening to Bible Answers Live. Friends, Pastor Ross and I want to make an announcement. This is the first time we're going to be announcing this, but we don't think it's too early. I think everybody knows somebody that used to go to church, they used to walk with the Lord. And they've become discouraged, or distracted, or they were hurt, and they no longer attend church. We're going to have a special program that will be broadcast live on DirecTV; it'll be on the Hope Channel, January 13th through the 15th, four programs called, "Reclaim Your Faith." If you know anybody that has sort of wandered from the Lord, we're going to be exploring the main reasons that people become discouraged and wandered. How do we reclaim these people and help them rebuild their relationship with Jesus? "Reclaim Your Faith." We'll tell you more about that in just a moment. Pastor Batchelor: We're back friends, and ready to take more of your questions. We do have some lines open. If you have a Bible question, give us a call. That number one more time, the acronym is 800-GOD SAYS. If you want the numbers, that's 463-7297, a toll-free phone call, 1-800-463-7297, with your Bible questions. And by the way, the program tonight is also streaming on the Internet. We're still testing this concept. We've actually been invited to put Bible Answers Live on television. If you'd like to watch the streaming, it's live.amazingfacts.org, live.amazingfacts.org, and you can tell us what you think. Pastor Jëan Ross: Pastor Doug, just before the break, you were talking about faith reclaimed. We want to let the folks know that we do have a website, and it's faithreclaimed.com. Go to the website. You'll be able to learn more about this upcoming program in January that we'll be actually doing from the Washington D.C. area. We'll be out there. There is a great video right on the homepage. If you go to faithreclaimed.com, watch that video and you can send this link to your friends, tell them about it. This is an exciting event. Pastor Batchelor: Absolutely. I think that right now, if you thought about it for a moment, we all know somebody that used to go to church that doesn't go now. What if you could be a missionary and bring them back? Connect them to this program, and you might find that it will make a difference. Pastor Jëan Ross: It might be as easy as just linking this website to your Facebook page and sending that abroad. Well we're going to go to our next caller. We've got Bob listening all the way from the Virgin Islands. Bob, welcome to the program. Bob from the Virgin Islands. Bob: Well I just want to clarify: the British Virgin Islands. Pastor Batchelor: Well we weren't trying to annex you to the U.S., but we will take your Bible question. Bob: Yes, that's right (laughs). But anyhow Doug, it is good to listen to you guys for many years. It's my second time calling, but I want to hit something in Psalm 87 because, there's a faith background that believes that this is the last years. I want to, Psalm 87, who is the Bible talking about in that whole verse right there? Pastor Batchelor: In Psalm 87? Pastor Batchelor: Any particular verse, or just the whole Psalm? Bob: Well within it, it's talking about that one was born there, so we're trying to figure out who's that person that was born there? We can read the whole thing, it's short. It's not long. Pastor Batchelor: Psalm 87, okay. "A Psalm of songs for the sons of Korah. His foundation in the holy mountains. The Lord loves the gates of Zion more than all the dwellings of Jacob. Glorious things are spoken of thee, O city of God! Selah. I will make mention of Rahab and Babylon them that know Me. Behold, Philistia and Tyre, with Ethiopia: This man was born there. And of Zion it shall be said, This man that was born in her and in the Highest Himself shall establish her." Now is that the verse you're wondering about? Bob: Yes that's the verse. Some people think that it's a last year. Who's that person that was born there? Pastor Batchelor: Well Rahab is talking about Egypt. That was one of the old terms that they would use, also to refer to Egypt. So you're wondering what does it mean when it says, "This man was born there"? Bob: Yes, who's that man that was born there? Pastor Batchelor: Well I think that David is speaking, sort of in a poetic metaphor, saying that God was going to bless Jerusalem and bless the people of Israel so that it would become such a center of truth, that people would say, "Oh, if I could only say that, 'I was born there!'" I think it's an analogy of saying, "We are reborn in the New Jerusalem." Now do you remember when Paul says the New Jerusalem, which is "mother of us all"--I believe that's in Galatians, what is it chapter 2? So I think this, you know Psalms--they are books of poetry; and so you need to read them as that there are sometimes romantic meaning there. Pastor Jëan Ross: If you look in the King James Version and verse 4, the last line where it says, "This man was born there", the word "man" has been added. It's not in the original Hebrew there; it's just, "This was born there." The subject being described is the city of God, talking about Zion, talking about Jerusalem representing Israel, the nation of Israel and their experiences coming out of Egypt. So, as Pastor Doug mentioned, a number of Bible scholars believe that the one referred to there as being born is symbolically referring to Israel, referring to Jerusalem. Bob: So it's nothing to do with the last year--this person who was born there--because they're claiming that he was Christ. Pastor Batchelor: Well no. They're referring to those nations that were adversaries to Israel, they're being compared. The Philistines, the Egyptians, and the others mentioned there, they were all adversaries so--and like I said, I think there's also a spiritual meaning here. It's talking about building up the city of God, being born again in the New Jerusalem, so to speak. But I don't necessarily think this is a Messianic prophecy, if that's what you were wondering. Bob: Okay, so who's the gate of Zion? Pastor Batchelor: Well the gates of Zion is talking about the gates of Jerusalem. Mount Zion, that's Mount Moriah. It's the same mountain. Mount Zion was the mount that Jerusalem was built on; and Zion is also referred to God's people. "I shall say of Zion, 'Thou art my daughter'", or "I have likened the daughter of Zion to a comely and delicate woman" (Jeremiah 6:2). That's another prophecy. Do you know that one by heart Pastor Ross? I've got all these words in my head and sometimes I forget the references. Pastor Jëan Ross: There's another reference in Lamentations chapter 5, verse 11, where it speaks of Zion, and refers to that as God's people, the city of Judah. Bob: Well Pastor Doug, continue to keep the good works up. May the Lord continue to bless you guys and spread the Word. Pastor Batchelor: Alright, appreciate it Bob. And save a place for us out there on the beach. Pastor Jëan Ross: Okay. We've got Bradley who is listening in Grand Rapids, Michigan on the Internet. Bradley, welcome to the program. Bradley: Good evening, yes--my question is, do we know the name of God? Now when Moses was at the burning bush, God said, "I Am that I Am". Is that His name? "...his name shall be called Wonderful, Counselor, The mighty God, The everlasting Father, The Prince of Peace." You're right that God said to Moses, "I Am that I Am", meaning He is the self-existent One. He was not named by somebody else. He always existed. Moses was wondering, compared to the gods of Egypt, "What god shall I say has sent me?" And God, right away, said, "You've got the wrong attitude about it. I'm not one of many gods. I am the God. I Am that I Am". Then you look at Jesus in the New Testament, and it's surprising how many times Christ referred to Himself in the "I Am", especially in the Gospel of John. "I am the Door", "I am the Good Shepard", "I am the Living Water", "I am the Light of the world", I am the Bread of life", on and on, "I Am, I Am, I Am." And even one time, Christ said, "Before Abraham was, I am." And the Jews knew He was claiming the name of God; and they took up stones to kill Him for blasphemy, because He was claiming the name, "I Am." So one of the names for God is "Jehovah" or "Yahweh", and there are two different pronunciations for that; along with the "El Shaddai", and the Almighty--many names for God you're going to find--"Elohim". So, I do have a book that we can send you specifically dealing with the name of God, Bradley. Would you like a free copy of that? Pastor Jëan Ross: The number to call is 1-800-835-6747. And I believe Pastor Doug, the book is entitled, "The Name of God". We'll be happy to send that out to anyone who would call and ask for that. The next caller is Michael, and he is listening from Georgia. Michael, welcome to the program. Michael: I was wondering what the meaning of baptism is? Pastor Batchelor: Alright, well I'm glad you asked. First of all Michael, have you been baptized? Pastor Batchelor: Were you thinking about it maybe? Pastor Batchelor: Alright. Well let me tell you, the word, "baptism", is kind of a funny word. It comes from a Greek word "baptizo", and that means to immerse or to submerge something, or, to like, dunk something and give it a bath, because baptism represents a new birth. It represents a washing from our old sin. It represents a death. You know when someone dies, they hold their breath, and usually they hold their breath when they're under water. And when a baby is born, it comes out of an envelope of water inside the mommy, and it takes a breath. So baptism represents just like being born again; it's a ceremony where a person says, "I've committed my life to Jesus. It's usually done publicly where a Pastor immerses somebody, and they come up out of the water. And it means all of their sins have been washed away and they've accepted Jesus' salvation. That's a quick summary of what baptism is. Would you like a free study that talks about it? Pastor Batchelor: It has some illustrations and everything in it. Pastor Jëan Ross: You know, if you'd call our resource number Michael, which is 1-800-835-6747; and if you would ask the person answering the phone if you could have the study guide on baptism, it's actually called, "Purity and Power." Pastor Jëan Ross: "Purity and Power", the study guide on baptism. We'll be happy to send that to you. That's 1-800-835-6747. Our next caller is Axel and he is calling from Florida. Axel, welcome to the program. Pastor Batchelor: Good evening, and your question? Axel: My question is, I've been struggling a lot with this, I understand that God is all-knowing. Axel: He knows everything that is going to happen in the future so, my question is, when He created Lucifer, He knew that Lucifer was going to rebel against Him; so why did God went ahead and created him? Pastor Batchelor: Well, just because God knows something doesn't mean He then restricts the freedom of a person to do a certain thing. For example, now I don't mean to be personal, but do you have any children? Pastor Batchelor: Now before you had your children, did you get any kind of written guarantee that they would always obey and cooperate? Pastor Batchelor: Did you realize when you had children, you were taking a risk that they might be stubborn and rebellious? Pastor Batchelor: You didn't think there was any risk involved? Axel: Oh yes, yes. Yes, of course, yes. Pastor Batchelor: Okay well I'm glad to hear that uh, but you still had them. Love takes a risk, and God created creatures--He's so loving. To prove that our love must be given to God freely, He even went so far as to create a creature that had enough freedom to rebel against Him and try to destroy Him. That is, I think, the greatest evidence of the love of God, that He gives us freedom, that He would even venture to create a creature that would not agree with Him. It's like, you know, being willing to put somebody on your board that you know might disagree with you. It shows a freedom there, and that's what the Lord does. Now, we do have a study that we can send you and it's called, "Did God Create the Devil?" And it goes right into this subject if God is all-knowing, why would He make a devil? Keep in mind, God didn't make a devil. God made a perfect angel. When the devil was first made, his name was Lucifer, not the "devil" or not "Satan." After Lucifer became preoccupied with love for himself and his own power, he evolved into a devil by his own choices. So God didn't make a malfunctioning angel. God did not make a flawed creation. Everything God made was perfect--that verse, is it in Ezekiel 28 where it says, "Thou wast perfect in thy ways from the day that thou wast created, till iniquity was found in thee." Pastor Jëan Ross: Ezekiel 28, verse 15. Pastor Batchelor: Yeah so he was perfect. And our lesson has all these verses and many more about where the devil came from, and why the Lord would make an angel that He knew would rebel. Pastor Jëan Ross: The study guide is entitled, "Did God Create the Devil?" And the number for our resource line is 1-800-835-6747. You can ask for that study guide, "Did God Create the Devil?" Our next caller is Eli and he's listening from Arkansas. Eli, welcome to the program. Eli, welcome to Bible Answers Live. You're on the air. Pastor Batchelor: Yes, you're on. Eli: Oh yes, okay. How are you guys doing? Pastor Batchelor: Good, and how are you? Eli: Good, good. Had a little question for you guys. Eli: How can you try and choose to follow God when there is so much entertainment in this world and, you know, games, TV, and everything like that? Pastor Batchelor: ...so much wicked entertainment and distractions? Pastor Batchelor: I believe it is impossible to be a real Christian, unless God works a miracle. In this wicked world, it's just as possible to be a Christian as it is for us to walk on water; but, like Peter, if you can keep your eyes on Jesus, you can walk on water. And I think the only way to maintain a Christian experience is to keep our eyes fixed on Jesus. Paul said in Hebrews chapter 12, "Therefore laying aside the weight and the sin that so easily besets us, let us run that race, fixing our eyes on Jesus." I think that's the way that one translation puts it. We've got to just keep our eyes on Him. We become like the one we worship. We're transformed. And you know, it is difficult. There's a lot of self-denial that happens for the Christian in this wicked world. Pastor Batchelor: A person's mind needs to be committed to Christ. There are things you don't want to think about, and without the Holy Spirit, it's difficult. There are a lot of things you don't want to do, or listen to, or eat, or read, and it's just constantly a desire to be pure in heart. Eli: Would that be a, like, because I got a PlayStation 3, would that be like, getting rid of that, and some of the games that I got, that would also be distractions? Pastor Batchelor: ...and holy and pure and true and righteous; and uh, I don't think they nurture the soul. I'm not trying to condemn anybody that has played the video game, but, I don't--just because for one thing, it seems like just a terrible waste of time. I've got so many other things I want to fill my mind with. Pastor Jëan Ross: Well anything that the Holy Spirit convicts us of that we need to let go of, we also need to recognize that God won't ask us to do something that He won't give us the power to do. So we come to Him sincerely and say, "Lord, you know, I really don't want to do this, but I know I need to do this. The only way I can let this go is by your power." And you know, if we're honest with God, if we consecrate our self to Him, God is able to perform miracles. He is able to change the heart. Jesus said to Nicodemus, "Except a man be born again, he cannot enter the Kingdom of heaven." And that needs to be our experience every day. We consecrate ourselves to Christ, and Christ then does His work within us. Pastor Batchelor: You know Eli, I would suspect the fact that you're asking this question is you've got inner doubts about whether it's good for your soul playing the video games. Pastor Batchelor: Kind of addicting probably huh? Eli: Yes it is. It's really addicting. Pastor Batchelor: Well, I think you've answered your own question there. First of all, if it's in doubt, uh, you're certainly not going to be excluded from heaven because you didn't play enough video games. And so the safe thing would be, you know, if it means plucking out an eye or cutting off a hand, Jesus said you're better off without your video console than entering hell with it. So, that's a paraphrase. Pastor Batchelor: Hey we'll be praying that God gives you the grace. Oh the other thing is, you can't just take something out of your life--some addiction or something like that--you've got to replace it with something good. Otherwise, you create a vacuum and pretty soon, you're worse off than before. So if you're going to toss that or sell it or whatever you do, then say, "Alright. I'm going to find something good to replace that time" and you'll develop a new appetite for something wholesome. Pastor Batchelor: We've got a study guide that talks about just living in the holiness of the Christian life. Which one is that? Is that the uh, "A Love that Transforms"? Pastor Jëan Ross: "A Love that Transforms" - that's right. And if you'd call our number, it's 1-800-835-6747 and Eli ask for the study guide, "A Love that Transforms". "A Love that Transforms". We'll be happy to send that out to you. Pastor Batchelor: You'll be glad you did. It really is a powerful lesson. Pastor Jëan Ross: We've got Robert listening from Buffalo, New York. Robert, welcome to the program. Robert: Yeah how are you doing? Robert: Okay, in the Gospel of Mark, some people say the ending in our Bibles, is it the original ending that might have been lost? Some people would say the beginning might have been lost, so what's up with that? What do you think of that? Pastor Batchelor: And I forget what verse it starts with, but I think it may be verses 17 and 18 where it says, "And these signs shall follow them that believe; In my name shall they cast out devils; they shall speak with new tongues; They shall take up serpents; and if they drink any deadly thing, it shall not hurt them", and I guess there are some manuscripts that did not have that. That is in the manuscript, the Textus Receptus, which the King James and others are translated from, and either the Sinaiticus or the Vaticanus, one of those manuscripts, did not have it. And so, there are even a few versions that exclude those verses. Pastor Jëan Ross: Now some have suggested, of course, Pastor Doug is speaking about the Textus Receptus, that's based upon the Byzantine family of manuscripts. There are a number of scholars that feel as though it's quite possible for manuscripts to, as time went on, for the material to, at some times, fall apart, and maybe a verse was lost from the manuscript. And then it was copied that way so it wasn't included. That seems a lot more likely than for a scholar to purposely go in and write something in, especially the words of Jesus. Pastor Batchelor: Yeah that's a good point. They weren't in books always. Sometimes they're in scrolls and the end of the scroll was high mileage. Pastor Jëan Ross: That's right. So just because some manuscripts don't have it, I wouldn't doubt the accuracy of those verses. Robert: Oh, I was wondering what about the beginning, because some people say that Mark might have had it in the Nativity story but it got lost; or they started off with, "This is the Gospel of Jesus Christ." They say that wasn't in the original; somebody started it because it they didn't have it at the beginning. Pastor Batchelor: (chuckles) ...and his Gospel, when you read it, is very abrupt. Pastor Batchelor: He is very action-packed. He just jumps right in. And so for him to start right out of the gate like that is in keeping with the rest of the book. Robert: Okay, okay. Sounds great. Pastor Batchelor: So it's difficult for us to say there might be something missing that no one knows about. It's really hard to prove what could be missing. But Mark probably wrote the first Gospel, Matthew expanded on Mark's. Mark's Gospel is really the Gospel of Peter, and uh Mark probably dictated it. And then Matthew, a few years later, he wanted to expand on it because there were some other questions and stories and parables and things that were left out. Then likewise, Luke followed, and he expanded on those stories; he said more about the Nativity. Then John was a completely unique Gospel written years later. Okay well I appreciate it. We do have a book that deals with a little bit about the history of the Bible. It's called, "The Ultimate Resource". We'll be happy to send you a free copy of that Robert. Pastor Jëan Ross: The number to call is 1-800-835-6747. You can ask for the book, "The Ultimate Resource". It talks about various translations, some of the original manuscripts. And really Pastor Doug, the central focus of the book is the trustworthiness of the Bible. We can trust the Bible being God's Word for us. Pastor Jëan Ross: The number again is 1-800-835-6747 and you can ask for the book, "The Ultimate Resource". Now I'm busy wondering here if we have time for one more call, probably not before we run out of time for the program. Pastor Batchelor: Maybe we ought to tie things off by mentioning--forgive us friends if we didn't get to your call tonight. We just didn't want to give you 45 seconds worth of question. Let us remind you, if you've not checked out the Bible Universe website, it's real easy, bibleuniverse.com, .org, .net--it'll take you there. It's a great way to study the Bible. We should be doing this every day; and pass the link on to your friends. Additionally, don't forget about the new series Pastor Ross and I will be doing in Washington D.C. live on DirecTV, it will be on the Hope Channel, January 13 through 15. How do you reach missing members? Do you know somebody that has drifted from the Lord? Jesus tells those parables about finding the wandering sheep or the prodigals that are out there, and there's something that we can do. 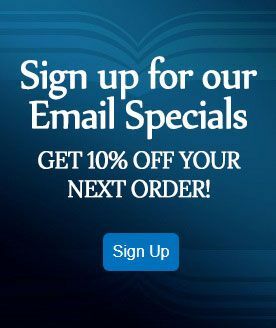 If you'd like to know more about how to do that, go to the website, faithreclaimed.com, faithreclaimed.com. And, with the few seconds that remain, please keep in mind, especially this time of year when folks are sort of evaluating their Christian charities and their giving, Amazing Facts is kept on only by your love gifts. We have no denominations or corporations, but it's just friends like you. Go to amazingfacts.org and you can click and donate online. God bless friends until next week!